In normal or functioning democracies the Ombudsman cannot investigate politics, let alone create its platforms or incite hatred based on politics and Croatia’s Ombudswoman Lora Vidovic is doing exactly that! “Symbols and slogans of countries of the Axis forces are written or stencilled on bus stops, walls, stadiums and posters, but also on monuments to the NOB (National Liberation Struggle in World War Two),” said Lora Vidovic’s report. Well, Ombudswoman – monuments to NOB need to be torn down. The communist Liberation struggle of WWII did not seek to liberate Croatia from oppressive Yugoslavia, it fought to keep Croatia within Yugoslavia! 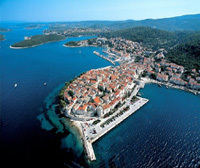 Swastikas and ‘U’ symbols of the Ustasha can be seen throughout Croatia, as can the Ustasha salute ‘For the home, ready’. Those symbols also mark and accompany insulting commentaries on internet portals and social networks that foment humiliation and hate of the Roma, Serbs, Jews and others, Vidovic stated. “In the recent years, books and articles have been written and published, public forums held, documentaries filmed and TV shows broadcast denying or diminishing the criminal character of the NDH (Independent State of Croatia state in WW2). Such views are aired not only in nationalist media, but also in the official publications of the Catholic Church, and have found their way into the leading media outlets, including the public TV,” she said. The focus of the document, however, is on the attitude of the authorities, mainly the government, led by the conservative Croatian Democratic Union. She accuses the authorities of being ambivalent towards WWII. It is alarmingly concerning that Vidovic is still in her position as Ombudswoman in Croatia! This odious, politically charged and offensive diatribe is actually directed against those who seek truth, not the government. It is designed to further silence those seeking processing of communist Yugoslavia crimes and continued corrupt practices in public administration. Vidovic politically charged report is an insult to democracy. Democracy seeks the truth, no matter how ugly or pretty it may be. 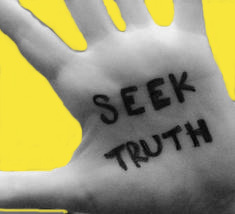 It seeks to respect all manner of reaching the truth. Vidovic has made no attempt to process and give due weight to citizens’ complaints and pursuits to decommunise and democratise Croatia. Instead, she makes up stories and claims of neofascism, neonacism and hate speech supposedly being rife in the country. She has chosen to concern herself as ombudswoman to matters pertaining to the WWII Independent State of Croatia but not to those of communist Yugoslavia from which Croatia seceded in the early 1990’s! Ombudswoman Vidovic, evidently disregards the rights of all citizens to seek out the historical truth which impacts upon their lives. From the Croatian ombudsman’s website we read that the ombudswoman’s role is to “… examine citizens’ complaints pertaining to the work of the state bodies, bodies of local and regional self-government units, legal persons vested with public authority and, in accordance with special laws, of the legal and natural persons.” She has done absolutely nothing, or very little indeed, about complaints regarding the lack of progress in cleaning the state-machinery from communist Yugoslavia public administration habits such as nepotism and corruption, lack of transparency in public administration, expenditure etc. Her bias favouring the former communist regime is alarmingly stark and utterly unacceptable for a country that paid with rivers blood and obliterating destruction for a chance at democracy! It is by no accident that soon after the Croatian Ombudswoman Lora Vidovic published this politically vitriolic study noticeably designed to aid the continued justification of unjustifiable communist crimes perpetrated against Croatians in former communist Yugoslavia during and post World War Two that a group of rowdy so-called antifascists on November 30th disrupted (fortunately unsuccessfully) at the City Library in the coastal city of Sibenik a promotion of Igor Vukic’s book ‘Labour Camp Jasenovac’. The book airs factual fresh findings on the World War II camp that throw a somewhat different light on that camp than the one concocted by the communists after WWII. Instead of supporting revision of history that is based on facts, Vidovic calls it fascism. “In recent years, books and articles have been written and published, public forums held, documentaries filmed and TV shows broadcast denying or diminishing the criminal character of the NDH (WWII Independent State of Croatia),” she added. Her report says nothing about continued celebrations of the murderous communist Yugoslavia totalitarian regime! She claims that the government’s inaction on matters of WWII is not in line with the European Parliament Resolution on the Rise of Neo-Fascist Violence in Europe, which urges EU member states to take immediate measures to condemn and suppress all forms of hate speech and denial of the Holocaust, including the minimisation of Nazi crimes. Conveniently, Vidovic omitted to mention the EU resolutions and declarations for the condemnation of all totalitarian regimes, including the communist one – to which she evidently subscribes even in this day when Croatia’s past must be reconciled with facts in order to grow a healthy democracy! Vidovic made a lame and twisted attempt to explain that her analysis of the current state in Croatia did not equate WWII Ustashe with the Homeland War veterans! “There are those who think that my analysis tramples upon the Homeland War and the bones of killed defenders. No! Homeland War was legitimate, liberating, and entirely different from Ustashe battles in the WWII Independent State of Croatia…today’s Croatia is different to the fascist Independent State of Croatia (WWII),” she stated. One cannot but look with horror that Vidovic wants to criminalise the very muse that carried the Homeland War veterans through vicious aggression to independence – “For Home Ready” greeting! Whether one accepts it on not, and taking aside the horrible crimes committed by all sides in WWII, the WWII Ustashe did take upon themselves the legitimate battles of liberating Croatia from the oppressive, dictatorial Serb-led Kingdom of Yugoslavia. That legitimacy stands on its own merit just as the Homeland War does. A question begs an answer. How is the communist totalitarian regime to be condemned if its ugly truth is hidden and omitted from public dialogue that seeks progress? Regardless of Vidovic’s views, tearing apart the inherited communist regime’s processes still heavily present in public administration, such dialogue is not revisionism – it is a necessity of the truth. The office of the Ombudswoman should be the first institution in the land to respect and give due credence to both sides of such a public discourse and intentions. It is the last institution that should enter into the suffocation of one side of such a debate by conjuring up cruel innuendoes and utterly vicious claims. The prerequisite for office of Ombudsman/woman should be objectivity and independence. Lora Vidovic displays neither! Democracy simply cannot grow in Croatia when its institution that’s supposed to “watch” over government or public administration is headed by a person (Vidovic) who seeks the outlawing of greetings such as “For Home(land) Ready” used by Croatians seeking independence during WWII and during 1990’s Homeland War as well as being prominent throughout Croatian history for centuries and fails to seek the outlawing of Yugoslavia’s “Red Star” and other symbols of communism, oppression and murder. This is blatant and purposeful denial of rights to all Croatians who fought, lost lives and continue the good fight for independence, self-preservation and democracy. Living in democracies outside Croatia we have long known that the establishment and strengthening of institutional means for the defence of citizens against the State’s arbitrary power, and redress for the injustices of its action or omission, are closely related to the advent of democracy. The figure of the ombudsman is a paradigmatic example, understood as a guarantee of individual freedom, provider of justice or public advocate. By its nature, its powers and its action, from the beginning it played in democracies an essential role in promoting the culture of human rights and, hence, in consolidating the democratic rule of law that is in its genesis. Croatia’s Ombudswoman has taken upon herself to spread her “protective” wings over those nurturing the justification of communist crimes and corrupt public administration, while ignoring or persecuting those who pursue condemnation of those crimes and who pursue advancement of democratic processes in public administration. It is true that today thousands and thousands of Croatian men and women still feel the pain of wounds resulting from the violent and inhuman Serb aggression when Croatia sought independence from communist Yugoslavia. Human rights institutions, such as Ombudsman, have not developed strategies and actions that mitigate the adverse effects of this terrible past, taking into account the respect for historical memory, thus bequeathing a whole perspective of future. Established trust between citizens and the State is undoubtedly one of the fundamental democratic community pillars. Instead of respecting, promoting and defending the most basic of human rights – the right to truth – without compromise, Vidovic has decided to compromise the truth, even to conceal it or make up a truth. She attacks individual incidents in “social media” or other media that lend themselves to keeping the ugly communist truth displayed, seeking lustration and cleaning up Croatia from detrimental communist Yugoslavia heritage in public administration and life! « Bosnia and Herzegovina: The Komsic affair – restored! An ombudsman/woman’s role is to bring an amicable solution and to resolve issues ….. from what you have said in this post she is acting in the capacity of providing her own way to stir up trouble not calm troubled waters ….. It’s bandwagon time in the world at present … if you can’t get you own way protest, burn things or use hatred in many forms …. 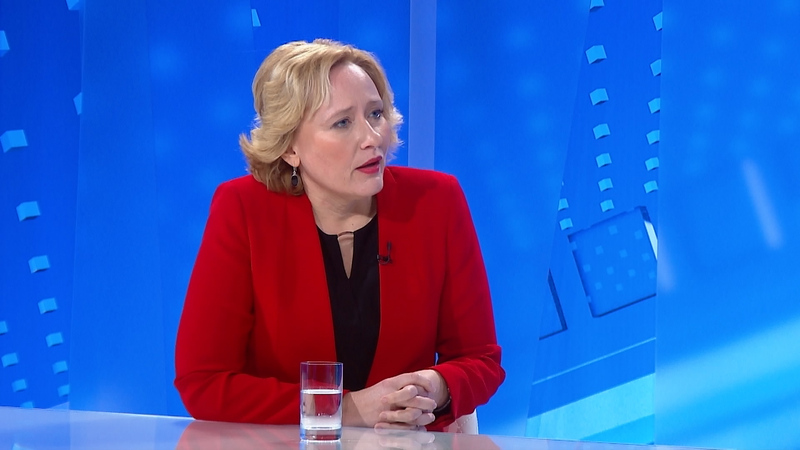 In normal or functioning democracies the Ombudsman cannot investigate politics, let alone create its platforms or incite hatred based on politics and Croatiaâs Ombudswoman Lora Vidovic is doing exactly that! As an aside, I was of the view that the traditional Croatian greeting (in some parts0 was “Za Dom” (“For Home”) but “Za dom Spremni” (“For Home be Ready”) was something entirely associated with the NDH. In any event this policing of language is not something limited to the Croatian ombudswoman or even the European union ….it is social engineering through changing language. Who knows when it will end but I suspect it will end. people have to be a little more resilient rather than be offended by words (especially words with more than one meaning).